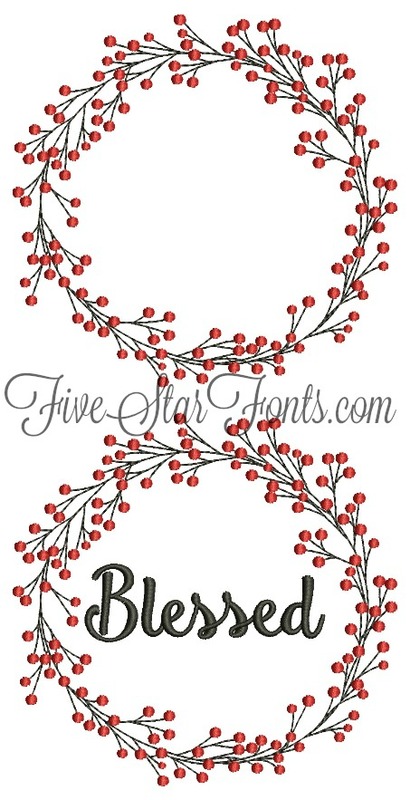 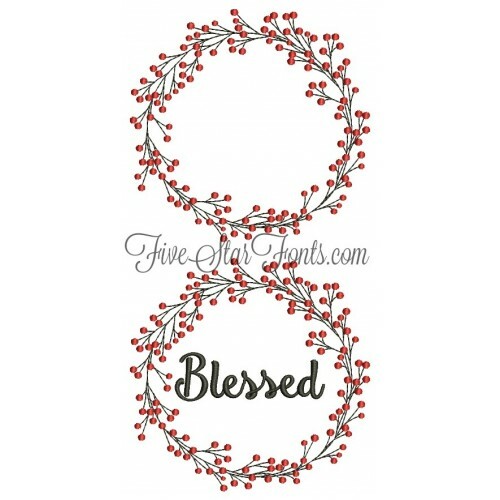 We include the design with 'Blessed' (shown above). 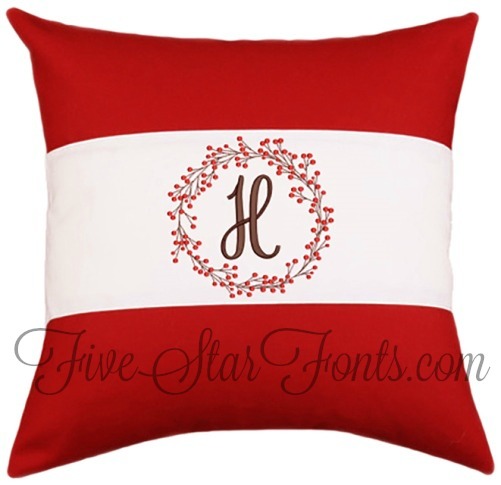 We also include a blank version so you can add a monogram or your favorite saying. 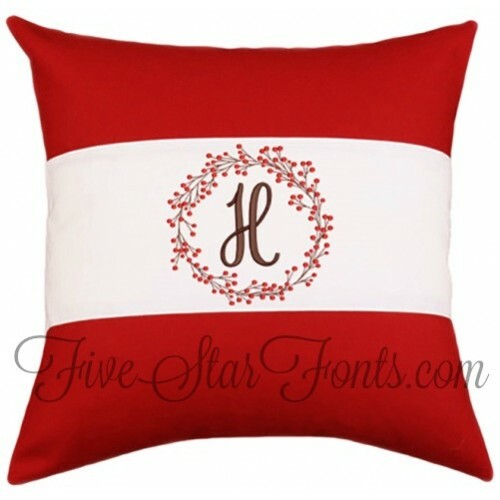 We used our Grace 3 Letter Monogram on the red pillow with white stripe. It is not included with this design but can be found in 'Related Products' tab at top of the page. 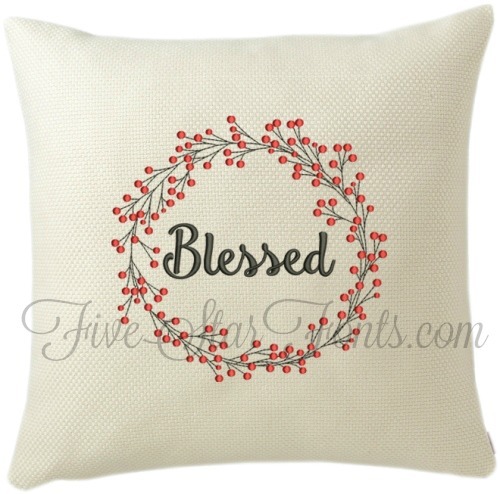 This design stitches beautifully. 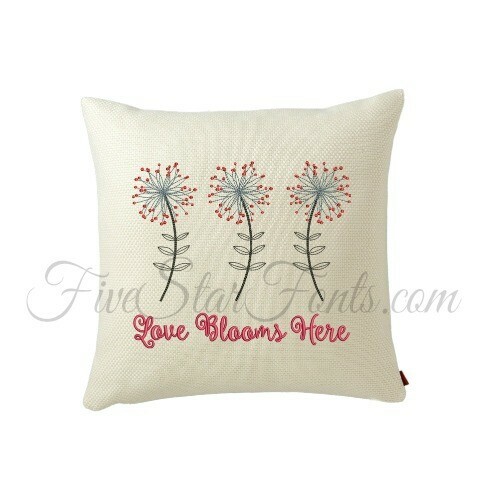 It is an excellent choice for decorating pillows, towels, even clothing. 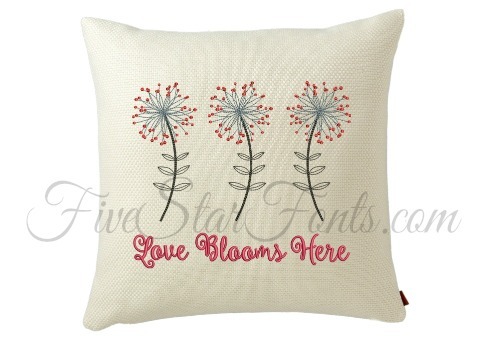 Note: This design compliments our Love Blooms Here design (Link is in Related Products tab above).